Microsoft has finally announced a price cut for the Xbox 360 in the UK. On Friday the 120GB Xbox 360 Elite will be launched on British shores, and the Premium and Core consoles will receive modest discounts. The Xbox 360 Premium, which includes a 20GB hard drive and one wireless controller, will be reduced by £30 to a recommended price of £249.99. The entry-level Xbox 360 Core console on the other hand, which has no internal storage, will be reduced by £20 to around £179.99. This means you can now buy an Xbox 360 Core console for the same price as a Nintendo Wii. "We're pleased to be able to offer Xbox 360 at a new, lower estimated retail price," said Stephen McGill, head of gaming and entertainment, Xbox UK. 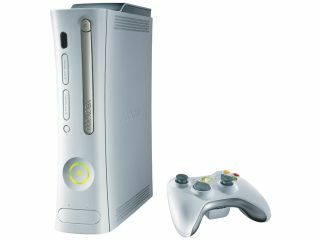 "First-timers will love the Xbox 360 Core system, which offers an affordable entry into high-definition gaming. The Xbox 360 Elite, with its large hard drive and wireless controller, will appeal to casual and experienced gamers and families. The Xbox 360 opens up whole new avenues of entertainment for those who seek the ultimate gaming and entertainment experience. "Whether it's our lead in console sales, record-setting games and accessory attach rates or our leading online service, evidence is everywhere that Xbox is thriving," continued McGill. The new, black, Xbox 360 Elite comes with a substantial 120GB hard drive, enabling you to store huge quantities of content downloaded from the Xbox Live Marketplace as well as your own music. It also has HDMI output for HDTV owners to take advantage of the Xbox's high-definition graphics. Microsoft has said that the production lines for the Premium console have been modified to install HDMI ports in all future batches of the console. This would make the Elite's only real plus point the 120GB hard disc. The press release that accompanied the announcement says that for the past year the Xbox 360 has been the number one console in Europe. It has obtained more than 30 per cent of the market in terms of overall revenue. Meanwhile, the Xbox continues to enjoy the highest software attach rate of any game console in Europe with more than 5.5 games sold per console since launch. (PS2: 3.8; GC: 5.2; Xbox: 4.3 after 17 months on the market).